My THANK YOUs in 2010. 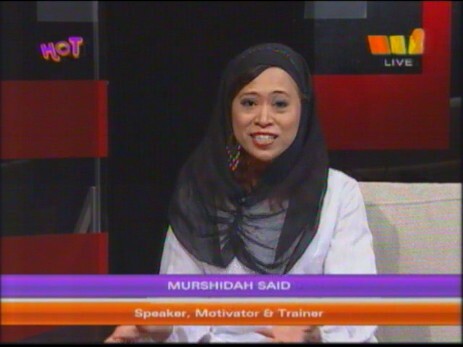 My last interview on RTM2’s HELLO ON TWO was on “HAVE YOU SAID YOUR THANK YOUs?”. Actually, I wanted to have this topic addressed so that I too, can slot in my THANK YOUs for 2010. So, THANK YOU, THANK YOU, THANK YOU and I want to say THANK YOU, THANK YOU, THANK YOU yet again and again to everyone who have supported me in 2010. So many to thank. Thank you for wanting to befriend me on Facebook, and reading my statuses. Thank you for following me on twitter, thank you for watching me… on TV and youtube. Tumblr is new to me but I am getting the hang of it. Thank you for following a tumblr newbie. I am in awe of all your posts. Thank you for listening to me on radio. Thank you for participating at my workshops, training, coaching. Thank you for just being a friend or just giving me LOVE. I truly appreciate it. May God bless you all. I am working to set up more efforts to spread LOVE & RESPECT. I hope to work with some of you who have supported me all this while. I would like to support any of your efforts also. Please remember to keep in touch with me. Please keep on going to this blog. Please get connected with me when I launch my website. My LOVE & RESPECT TO YOU ! We really must keep on saying out THANKS to our Al-Mighty for everything that we have been given in this world. The good stuff, the great stuff, and be thankful for the not-so-good ones either. I have learned to take the not so good stuff as a learning lesson on what NOT to do, what I can do about making a positive difference and on personal self improvement and getting closer to my Creator, the creator of my SPIRIT and SPIRITUALITY. HAVE A WONDERFUL 2011 AHEAD ! In 2010, there were 58 new posts, not bad for the first year! There were 50 pictures uploaded, taking up a total of 23mb. That’s about 4 pictures per month. The busiest day of the year was September 8th with 70 views. The most popular post that day was My interview in NewMan magazine September 2010 issue on Style and Image for Men. . The top referring sites in 2010 were facebook.com, twitter.com, mail.yahoo.com, malaysia.youthsays.com, and healthfitnesstherapy.com. Some visitors came searching, mostly for murshidah said, personal image transformation, importance of empowering women, women executive leadership conference 2010, and murshidah.